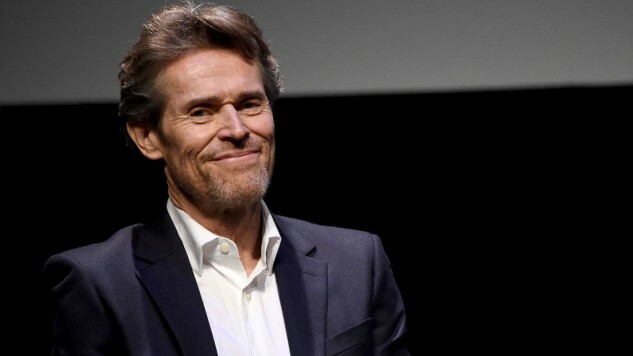 After securing his third Oscar nomination, Willem Dafoe will star in A24’s newest project in development, The Lighthouse. The film comes to us from Robert Eggers of the Sundance horror sensation The Witch. According to Deadline, Dafoe will play an aging lighthouse keeper named Old who lives in early 20th-century Maine. If we know anything about Eggers, the film will likely fall within the horror genre. The Lighthouse will be under the RT Productions banner with CEO Rodrigo Teixeira producing. RT is reuniting with Eggers and A24 after 2016’s The Witch. The company previously produced Frances Ha starring Greta Gerwig and the Oscar-nominated Call Me By Your Name. It just wrapped production on the Brad Pitt sci-fi thriller Ad Astra, which will be distributed by Fox later this year. A24 is the company behind buzzy forthcoming horror film Hereditary and last year’s Best Picture Oscar winner Moonlight, and has produced recent films such as The Killing of a Sacred Deer and It Comes at Night while also distributing the recently Oscar-nominated films Lady Bird and The Florida Project. Dafoe received his most recent nomination for his supporting performance as a hotel manager and child guardian in the The Florida Project. Dafoe’s range as an actor is staggering. He’s played a villain in Super-Man, an assassin in The Grand Budapest Hotel, an actor playing a vampire in Shadow of the Vampire, a morphine addict in The English Patient, Jesus Christ in The Last Temptation of Jesus Christ, and a cooperative and vulnerable sergeant in Platoon, just to name a few. His career has spanned three, almost four decades. You can catch Dafoe in the recent murder mystery Murder on the Orient Express, and in the forthcoming Edward Norton-directed Motherless Brooklyn and the Warner Bros. adaptation of DC comic Aquaman. He will also be playing infamous painter Vincent Van Gogh in At Eternity’s Gate from The Diving Bell and the Butterfly director Julian Schnabel.